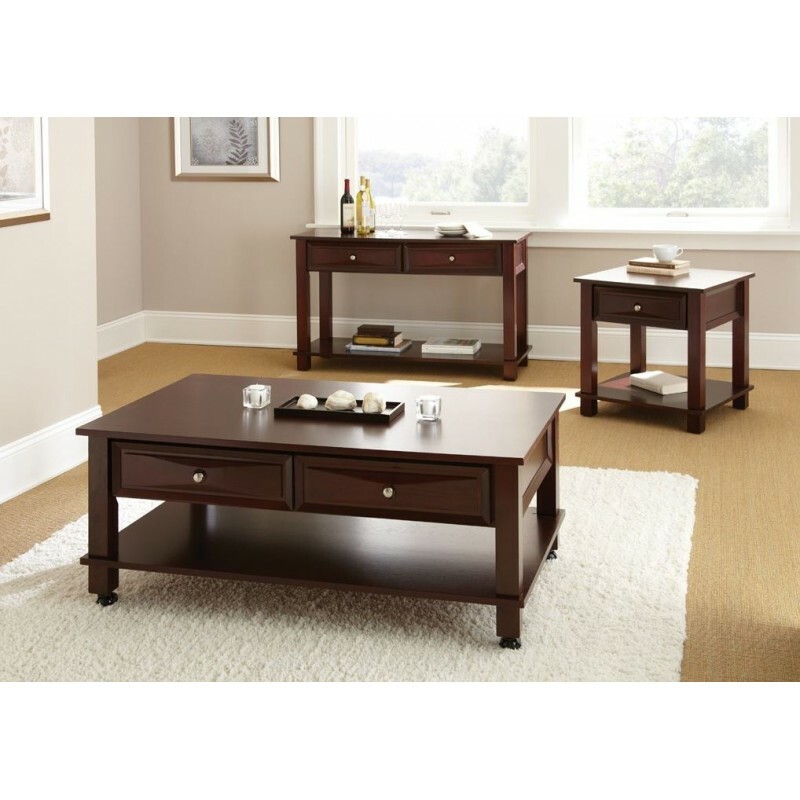 The Mason occasional table collection features simple transitional styling. The centerpiece of the collection is the castered cocktail table... great for in front of your reclining sofa. The tables are finished in a rich espresso and all have drawers. Collection pieces include a rectangular castered cocktail table with casters, end table, and sofa table. 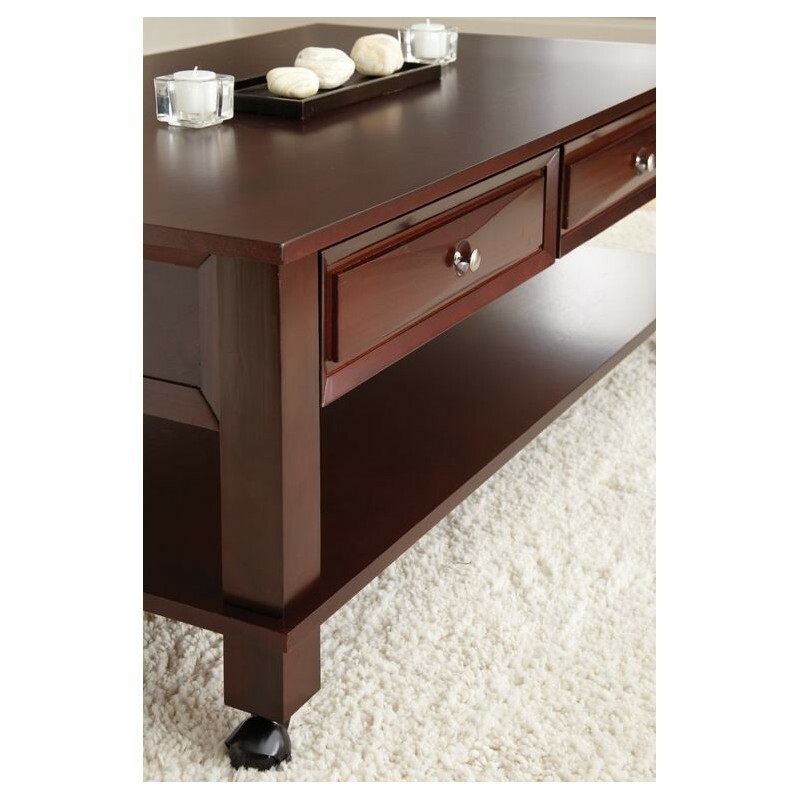 MS400C Mason Cocktail Table W/ Casters 48"x28"x20"
MS400E Mason End Table, 24"x24"x24"
MS400S Mason Sofa Table, 48"x18"x28"